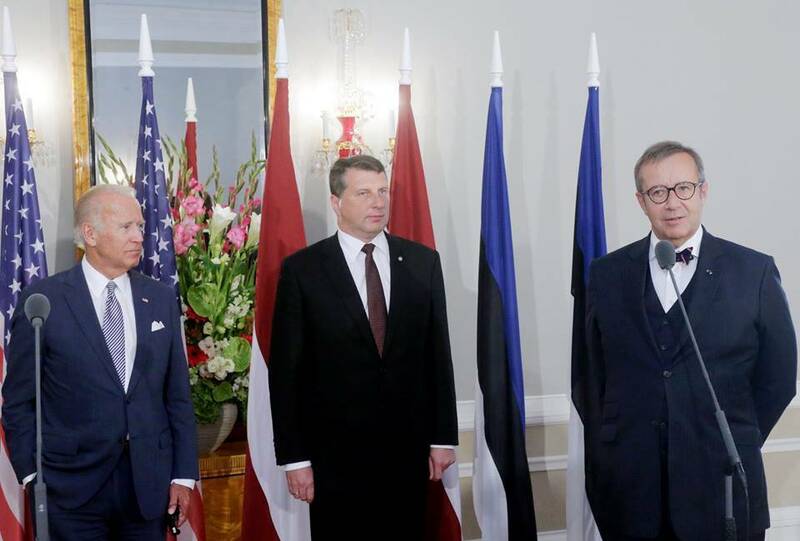 On the occasion of US Vice President Joe Biden’s visit to Latvia, the United States, Estonia, Latvia and Lithuania released a declaration, reaffirming the four countries’ strategic alliance and commitment to cooperation to ensure the security and stability of the region. “Faced with an unpredictable security environment, we commit to deepening our cooperation and our efforts to ensure the security and stability of the region, as part of NATO’s approach to collective defence,” the joint declaration said. The declaration added that the greatest responsibility of NATO was “to protect and defend our territory and populations, as reflected in Article 5 of the Washington Treaty”. The declaration affirms continued significant investments by the Baltic states in order to ensure that mutual investments will effectively support NATO’s deterrence, as well as promote national and regional security and resilience. In addition, Estonia, Latvia and Lithuania have reconfirmed their commitment to allocate the necessary budgetary resources for defence spending. The US and the Baltic states also intend to continue to explore areas for enhanced joint and regional cooperation in other security fields – such as cyber defence, energy security, and critical infrastructure protection. According to the White House, Estonia is one of only five NATO allies that meet the NATO benchmark of spending at least two per cent of GDP on defence. 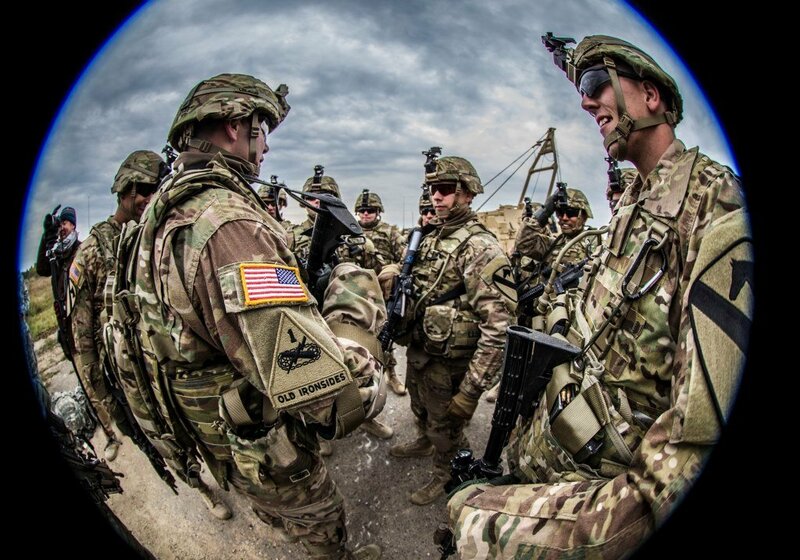 “The governments of Latvia and Lithuania are increasing defence spending with concrete budget plans to meet this NATO benchmark by 2018,” the White House said. 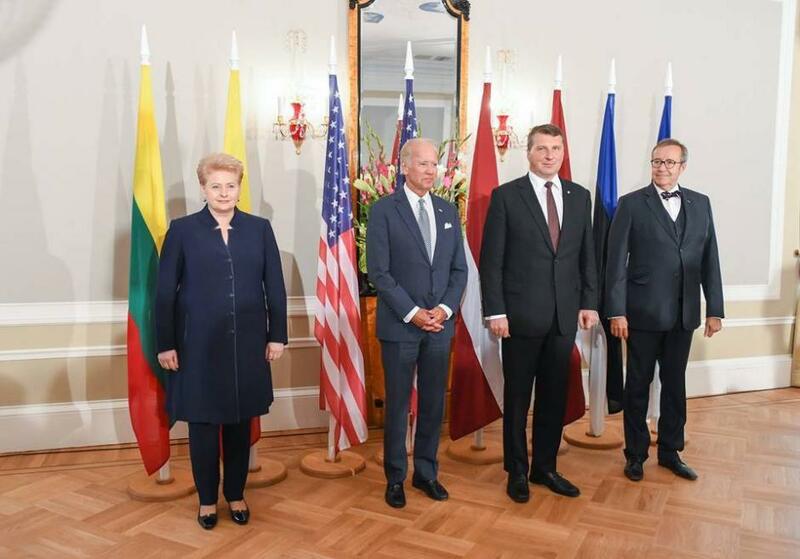 US Vice President Joe Biden was in Riga on 23 August to meet the presidents of the Baltic states and to reaffirm the US commitment to the security of the region. Cover: US Vice President Joe Biden meeting Dalia Grybauskaitė, Raimonds Vējonis and Toomas Hendrik Ilves in Riga. Photo by Robertas Dačkus, Office of the President of Lithuania.